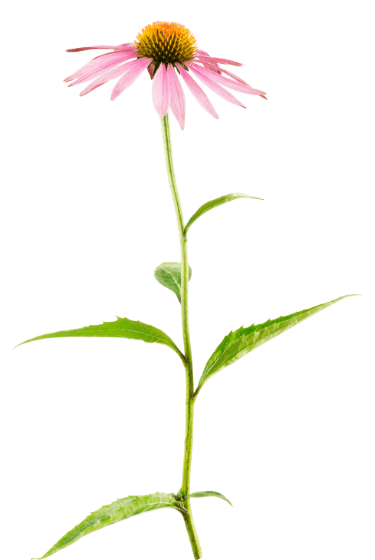 Echinacea is an herb from the daisy family originally native to North American prairie lands. It blossoms from mid-summer to autumn, easily recognizable by its purple-pink rays emanating from a brassy hued center. Echinacea is widely cultivated in various gardens while its “unique powers” were first discovered by Native American Indians hundreds of years ago.